Integrated wayfinding systems at both schools help students orient themselves to the school spaces and the natural environment around them. The wayfinding in both schools is reinforced by the interior color schemes, corridor identification, room signage, inspirational quotes, and educational signage. The new Oak Grove-Bellemeade and Broad Rock Elementary Schools were part of the City of Richmond’s ambitious “Building the Best Richmond” initiative. Wherever possible, the schools utilize cost-effective sustainable design strategies. The buildings themselves are designed as teaching tools, utilizing transparent details and technology to reveal the inner workings of the school and illustrate concepts of environmental awareness and energy use. Oak Grove-Bellemeade embodies a wayfinding theme aligned with the different levels of a Virginia forest and Broad Rock aligns with the different geographic regions of Virginia. 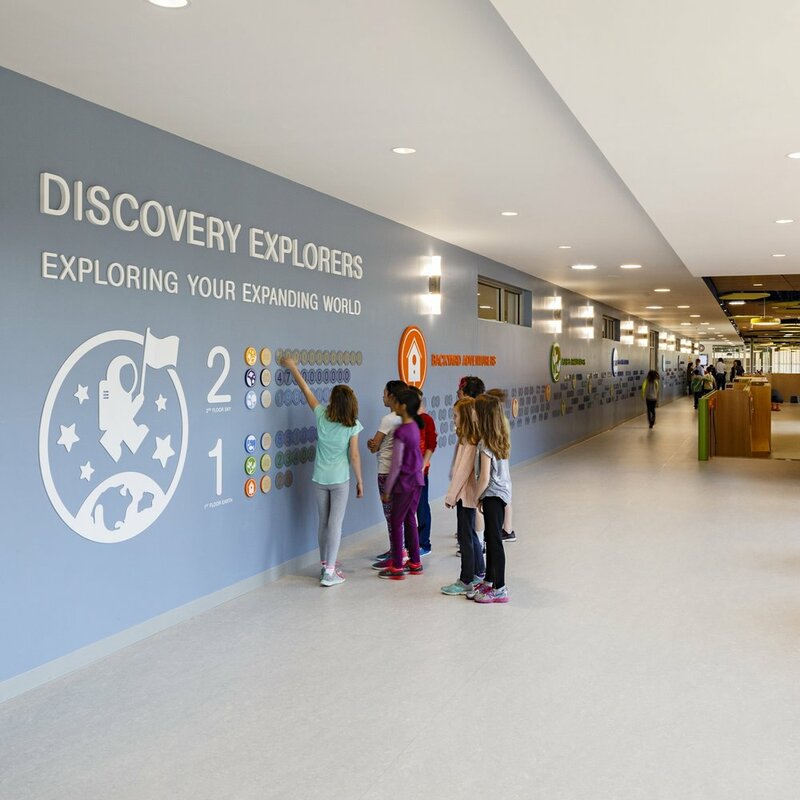 The wayfinding in both schools is reinforced by the interior color schemes, corridor identification, room signage, inspirational quotes, and educational signage.